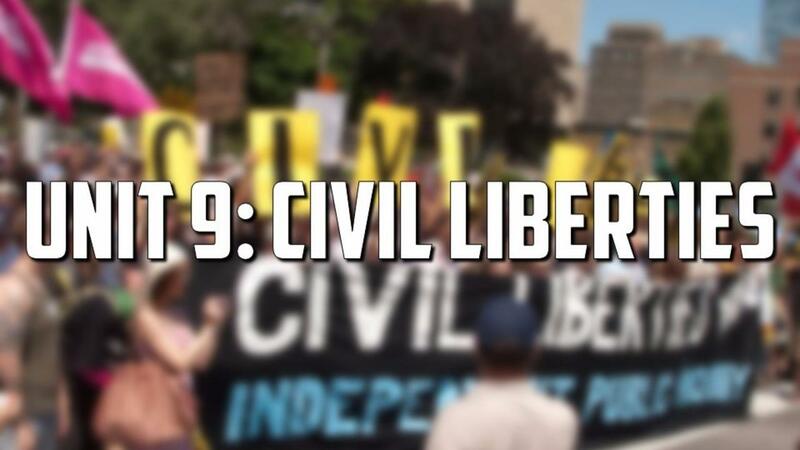 The unit begins with the basics of Civil Liberties and how they differ from Civil Rights. There's a PowerPoint with guided notes, reading, and worksheet, plus recommended video links. Next, students look at specific rights guaranteed by the Bill of Rights and the significant Supreme Court cases that either challenged them or helped them further develop. 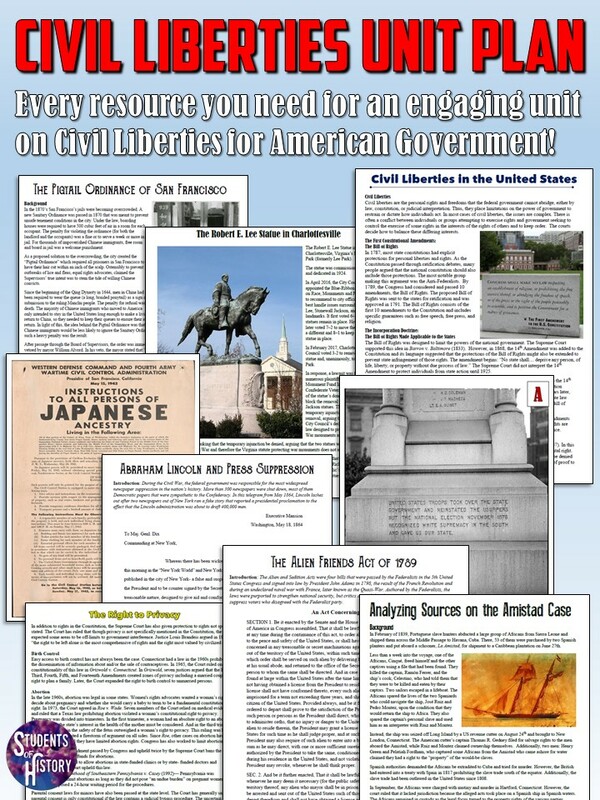 Following this lesson is a lesson plan on challenges to civil liberties in American History like the Sedition Act and Japanese-American internment. Students next dive into current issues with a thought-provoking #CharlottesvilleCurriculum lesson the the Charlottesville rally, racism, freedom to assemble, and Confederate monuments' place in modern America. Finally, students select a current civil liberties issue that matters most to them, such as disability rights, religious liberty, juvenile justice, free speech, racial injustice, or any one of many more for a research paper or "un-essay" project.